Is your Dog Scared of Something? This is another “Back to Basics” understanding article when it comes to some of the terms we use in dog training and how to utilize the training concepts with your dog. A lot of people just simply don’t understand desensitization training and what it involves. As dog trainers we throw the concept out time and time again, and I am no different. I often find myself using this term often when answering questions on our blog. But sometimes I forget not everyone knows what I am referring to when I use this term, so let me help you to break it down. When you hear that someone is sensitive to something, it means they are quick to detect or respond to slight changes, signals or influences, having acute mental or emotional sensitivity. Dogs with severe behavior problems (aggression, fear, separation anxiety) are often overly and abnormally sensitive to a stimulus (person, dog, noise). This over sensitivity also causes reactivity where the dog reacts inappropriately with excessive fear or aggression toward the stimulus in question. Desensitization is a way of lessening the sensitivity until the response is small in proportion to the initial response, or until there is no response at all. 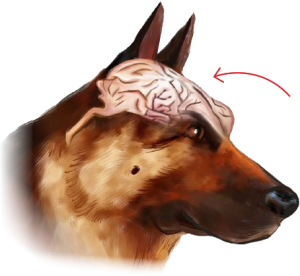 Desensitization works GRADUALLY and slowly exposing the dog to low and controlled levels of the stimulus that he is aggressive to or fearful of so that he can learn to control his reactivity and behavior when faced with the stimulus. Counter conditioning which is very similar to operant conditioning and is also a key factor to successful desensitization. The difference between counter conditioning and operant conditioning is that in counter conditioning the dog already has a negative and sometimes painful association with the stimulus so changing the association and creating a new one requires a lot of diligence, patience and repetition. For example remember Pavlov and his dog? An unknown stimulus to the dog (the bell) was associated after repetition with food making the bell meaningful after a fairly short period of time. Now, with counter conditioning imagine that the bell instead means the dog will incur a painful shock of electricity. Within a very short period of time the dog learns to associate the bell with pain, fear, and trauma. Now imagine that you want to change that association to something positive like food and relaxation. How long do you think it would take the dog to change his fear and pain association to 100% pure acceptance and excitement when the bell rings? I can tell you it would be different for each dog, but I can also say that it would take a great deal of repetition and trust from the dog. The bell (the stimulus) has previously been associated with a traumatic event and therefore it will take a long time to successfully counter condition. Why Do Dogs Need Desensitization? Some have had traumatic experiences. 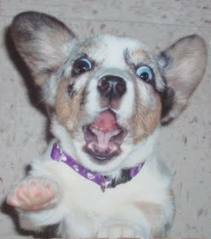 But often this response is as simple as a lack of socialization during the crucial puppy fear stages. And it is just my belief that some dogs are genetically more sensitive or phobic than other dogs. Just like some people are more sensitive, phobic, and reactive to things. In people we know that this abnormal response is due to a biological difference in their nervous system. 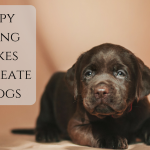 I believe that dogs can be born with some of the same genetic behavior problems or diseases like Sensory Integration Disorder that people suffer from. If you know for sure, your dog has never been abused nor had a traumatic experience your dog probably falls into the line of a genetic or biological imbalance; but both can be difficult to change. In severe cases a veterinarian can diagnose and prescribe medication that can help with the process of helping the dog to desensitize. Often medication alone will not work. And, sometimes behavior modification with desensitization and counter conditioning is not enough without some form of medication. If I had a phobic or anxiety disorder, I can tell you that I would want some medication to help me while I tried to deal with the problem. So often owners of dogs are so very adamantly against medications, yet most of them have taken antidepressants or antianxiety medication themselves! If it can help, consider doing it for the benefit of your best friend. It is not condemning him to a lifetime of medication, perhaps he will only need it while you help him with his behavior problems. Desensitization is simple yet so very complex. Whatever you are getting your dog use to (the stimulus) needs to be carefully controlled. Short duration exposures of low intensity interspersed with praise for calm responses and counter conditioning with toys and/or food are the key. 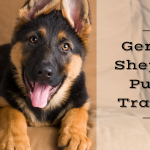 The training sessions should be short and never geared toward getting your dog upset or to the point where the undesired reaction occurs. As soon as you see the first sign of trouble, back up or go farther away from the stimulus. If at any time your dog reacts with fear, aggression or stress, you are going through the exercise too quickly and trying to progress faster than your dog can handle. You are also risking all the good behavioral training that has gotten you to this point by again making the stimulus invite fear or aggression. It is crucial to do your best to keep the negative behavior from happening. If you or your dog is having a bad day, skip the training exercises. It takes patience and a calm attitude to desensitize properly: forcing the issue is likely to set you back rather than help you progress. I understand that vague training jargon maybe hard for some of you to understand, so I will give you a training example that may make this a bit easier. But remember that desensitization is for many behavior problems, so if you are having one recognize how to do it and give it a try. For example: A client comes to me with a dog that is abnormally terrified of and slightly aggressive with men. The stimulus in question is “Men”. This is an abnormal fear. It doesn’t matter if your dog was not socialized as a puppy, had a genetic predisposition toward fear, or had a traumatic experience because sometimes we don’t know. What is important and what does matter is to take control of the situation and begin desensitization. Each dog is different and figuring out where your dog is, is crucial. Some people would say their dog is terrified of men but the dog would tolerate a man coming into the house without a problem but would have issues if he was within 10 feet of himself or his owner. 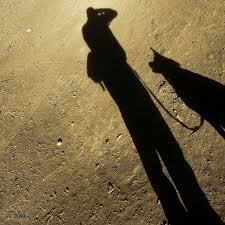 Some dogs would lose all control seeing a man 100 feet away. 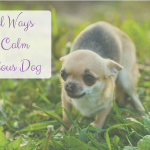 You must know your dog and be able to recognize the signs of stress before they get out of control. The second dog would require much more desensitization than the first dog. However, the components will be much the same. First would be to find a willing, small (I wouldn’t ask someone 6’5) and kind man to ask to help. You must, in the beginning control the stimulus “Man”. You wouldn’t go to the park and work with someone you didn’t know or somewhere that a person could come up and traumatize the dog. The first step would just be to get the dog close enough to the man, who is standing still making no noise and not turned in the direction of the dog, that the dog shows no signs of stress at all and is able to complete simple tasks such as sit. This may mean the dog needs to be 150 or 200 feet away. The man will never turn around or even speak to the dog at this stage. The dog should be counter conditioned with food, games and training as he shows no signs of stress, fear, or aggression. As soon as the dog begins to notice the man or becomes uncomfortable the person will need to back up and train at a further distance. For some dogs this training will take weeks or even months. For some dogs this training will only take a few days. It is all up to the dog how quickly you move forward, but do not move too quickly! You would then move in as small of steps as possible; having the man turn to face you, having the man move non aggressively, having the man walk away, having the man walk toward, having the man speak. At any signs of stress the dog owner must move back. Once you can walk past a man that you know who can also talk to you (NO PETTING) although he may toss a treat to the dog as long as it doesn’t scare the dog and the dog is showing no aggression, you may begin working with another man, and then toward men that you don’t know but who are a long distance away. The dog should slowly be associating men with treats, affection and fun. Working as slowly and gradually as possible and as the dog is comfortable you go to more environments with more men and make sure the experiences are wonderful. My opinion when I work with a dog like this is not to have the unrealistic goal that men are going to be able to pet the dog. The dog needs to trust you and when you force him to be petted by someone or something that he finds terrifying you are opening yourself up for problems and probable aggression. I believe in order for your dog to trust you, you need to ensure he is not petted or traumatized. Keeping him in control is better than risking a bite. I know this is tedious work! If I am desensitizing a dog aggressive dog, I am not going to plan for trips to the dog park! Don’t have unrealistic expectations. Most people with severely dog aggressive dogs would be happy just to keep their dog quiet at heel and under their control. This simplicity may be your goal! The most important thing about desensitizing is to work gradually. Gradually and slowly at the dog’s pace is often much too slow for us. But, I beg of you to not force the dog. Force brings more anxiety which will make the process worse and progress slower. You must know your dog and never move faster than he is capable of moving! I have a small cockapoo that I rescued last August. He is about 3-years old. He has taken to me and my grandchildren, but not to other adults. He barks at anyone coming in then retreats to me or his bed and will not have anything to do with anyone except me. I thought it would get better by now, but not yet. I don’t know what happened to him in his younger years, and I was hoping for a “friendlier” pet. I that problem with a terrier I rescued. She was terrified of everyone but me and bit (but did not draw blood) anyone who got too close. I started carrying treats with me everywhere we went and kept them handy. I had everyone who came into the house offer her treats. When we were on walks, I would ask any stranger that showed the slightest interest in her to offer her a treat. It was a month before my Dad, who lives with us, could pet her. We have had her over a year now and while she is still shy with strangers, she no longer bites and will even ask to be petted if a visitor is around for awhile. Don’t give up on your boy. I rescue a terrior of sorts.She was suppose to be a Weaton Terriot but i am not sure she has any in her. Wheaton and Westie mix maybe, I was very close to a Shounzer and she might have some in her. Anyway she had and still does have issues after 5 months. Treats don’t help with her. She is not an eater. I just give her a lot of love and don’t let anyone pet her since she has a tendency to nip but doesn’t break skin. I have fears my self.I am working on socialization with her. She was afraid of garbage cans and now we don’t love them but she does stay on the ground when we pass them. I have taught her to sit when some one comes to the house and not bark. She doesn’t like anything new. I go slowly and don’t yell at her. She is afraid and fearful of everything and everyone but it is getting better. I just tell people not to pet her.Any suggestions that would help me would be appreciated. I adopted a dog over 4 years ago. She’s now over 5. I found out later she was going to be put down the next day. She loves to go for walks and she loves to run and do tricks. I have found a few men who adore dogs and they have helped tremendously. She is not aggressive just scared of people, especially men and anything new. The men all have their own dogs and she’s nosy. They sit on the floor a couple feet away facing away with her favorite treat. They totally ignore her. After a short time she will walk up to the man with me. They don’t touch her but they put the treat next to them. When she takes it they start talking to me. Eventually she gives them her paw. It takes a couple times of doing this before she’s completely comfortable. Some men it’s the same day and with others she’s still uncomfortable after years. Also if we’re walking in the park I taught her to watch me before anyone else. She ignores people and dogs when she’s walking. It can take a long time and I’ve had to remember not to get upset or lose my patience. After all it took her 2 months to stop shaking around me. Give him a lot of love. I don’t know if she’ll ever be completely desensitized but we’ll keep pushing forward. She finally goes to my brother who lives with me after 4 years! Chet; My adopted 2 y/o Corgi is very aggresive toward other dogs. What approach would you take with her. I do not have any history on her or her socialization. I brought her in to my home with another female Corgi and the get along great. The aggression toward other dogs is embarrasing. Thank you for this email. I am currently going through this issue with my 5 month labradoodle. His fears cause him to urinate. I am working with him and do many of the suggestions in your article but I am still having a problem with the urination to where now my husband insists he wear a weenie wrap because he is an indoor dog. I am beginning to feel like it is hopeless and my husband (who is not unkind) will insist he be an outside dog or be given away. We live in CDA Idaho and it gets very cold besides he wouldn’t get much attention outside. I will continue to try what I have read but we are rural and I don’t get many opportunities to get him out around different situations, plus he gets car sick, I purchased a puppy sounds cd to help somewhat and work on his confidence. I will continue to do what I can but with kids, husband and a job (at least I work from home) time is not my friend. Thank you for all the wonderful information you send out, it is very helpful. Play with him, train with him, massage him and then take him out to socialize and when he gets nervous you have play, massage and training to fall back on to help him overcome a scary world! I rescued a small dog from a lady that was abusing her. She is the sweetest thing, but she is terrified of bad weather, when people come over she runs and hides. As for the weather it could just rain and she goes crazy. I do not like her to be like that and I do not know what else to do for her. I have a border collie/golden retriever mix who is a year and a half. I exposed her to every possible situation as a puppy. People, dogs, places, noises of every kind, and as a puppy nothing bothered her. But as she has gotten older more and more random things are starting to scare her. For example: she gets completely gripped with fear when I use the vacuum, the broom (or anything with a long handle), my exercise ball, and other random items. She will tuck her tail so tight between her legs and run to the furthest room in the house or hide under the couch. And she is now scared of noises in the kitchen. If I take out a casserole dish and put it on the counter she’s like “I’m OUTTA here!” and bolts away. I’ve tried the above methods but no amount of treats or toys or playing or praise will get her out of her state of fear. She just shuts down and hides. She won’t even touch her favorite treat and this is a food driven dog! I’m completely baffled as to why she has gotten this way! Nothing traumatizing has happened to her… Any advice?? Have you heard of the Thundershirt? It is supposed to comfort and soothe a fearful dog by wrapping fairly tight around the body. It might be worth a try. I tried the Thundershirt on my anxious little terrier-spaniel-maybe Beagle…and it not only didn’t help his axiety (mostly it’s when I leave – whether the house, the car, anywhere), he had a terrible ‘itching’ problem with it! Seriously, he kept trying to brush it off against the bed, chairs, etc. – so I finally gave up and stopped trying to use it. My 5 year old dog has been fearful of riding in vehicles since we brought her home. She hides, cries, wimpers, tries to escape, and is obiously panic stricken even from a short trip down the road. We are RV enthusiasts and this dog has been 1000’s of miles, refuses any of her favourite rewards, does not respond to correction, praising her when she is so tired that she is quiet and relively calm. I still do not know what to do to help through this anxiety. I’ve all but given up on trying. Have you tried carsick medication? If nothing else, it might make her sleepy and calmer, but she could just be nauseated, and afraid of being nauseated. Hi. I have a 5 month border terrier, she has no problem getting along with our older dog. However when she meets new dogs, she tries to play but when they approach her she squeals as if the dog hurt her, but it didn’t even touch her. What can I do? Find a smaller adult dog that is super patient for her to play with! She needs to know she isn’t going to be hurt and that squealing is not the answer! Some doggy day cares have adult dogs that are great with puppies and I would get her in ASAP before squealing becomes a defensive/aggressive behavior instead! Our 6 month old Havanese is a terribly scared dog. We took him to the dog park for the first time today and he was getting along wonderfully at first. He didn’t care for too agressive dogs but he would leave them and was at least keeping an interest in the place until a very agressive dachshund started picking at him. Our puppy squealed like he was being tortured and then all the other dogs piled on. I had to rescue him and we left because at that point it wasn’t fun for him any more. He was terrified. Have we now scarred him for life? In other examples of fearful situations he has been able to eventually become familiar and okay to be around the stimulus (except the vacuum cleaner!). I read about finding another dog that is easy to be around but we don’t know anyone with a dog that can fill that role. I would call your vet and try and find a dog to fit that role! He should be socialized with a good/appropriate and playful dog as soon as possible so he can forget the bad experience and remember the good one. 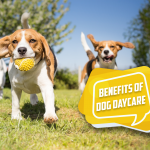 Otherwise you can contact a local boarding kennel that offers daycare playtime and ask that he just play with one GOOD patient older dog for a while. whenever i take my dog on walks if someone is walking by she will run away , sometimes bark. she is very scared of people in the street and outside but if they come in the house shes not so bad. any suggestions?? I have a 10 1/2 month old German Short Haired Pointer that we rescued a couple of months ago. She has a terrible fear of the street. I cannot take her for a walk because she is terrified and pulls me back to the house so hard she chokes herself and almost broke my hand. Luckily I have a backyard and she runs freely back there and that is where she will do her business. She is also terrified of loud noises and trembles uncontrollably when she hears a vacuum or other loud noises like that. I just want to help my poor puppy. This is my first dog and I need to know the proper way to help her. Work on one thing at a time and slowly desensitize her to it using lots of treats, games and fun! We have a dog adoption center here in northern Mexico and I’m hoping to work with some of our dogs (we now have 17) to socialize them and make them more appealing to potential adoptors. With so many dogs, and most of our volunteers gone for the summer, we’re shorthanded and so our dogs are going without socialization training. For instance, we have a beautiful golden shorthair male mutt named Rojo who will let no one but our caretaker touch him. Yet he will allow us to bathe him, and I think he has potential to be a friendly guy. I recently got him to come up to me and he licked my hand once, but I want to make more progress with him. He does accept treats from my hand, but doesn’t seem interested in toys. What procedure should I follow with Rojo: any suggestions? Also, is it best to isolate a dog from the others when trying to socialize him? They get pretty competitive when the treats come out. Yes work on them one on one take Rojo out and work on basic obedience and some tolerant petting or touch with treats and once you get him to accept it from you, its time to pass him along to someone else to work with so that he will get consistency and begin to accept everyone…that is the only way to get him adopted. When my Boxer died and all our dogs were over 12, we decided to replace her with a Boston Terrier. She was very sweet. All our other dogs were outside/guard dogs so when she reached about a year, we decided to get her a playmate for inside. There was a French Bulldog, who was to be euthanised (because she snored?!) in a vet about 300km away and so we decided to adopt her. Upon meeting this dog she imediatly went to attack her. Then she attacked all the others. The setter laid down and was submissive, the rest ran but one of the others had her legs ripped to pieces. The bulldog is now seperated and lives together with our setter(the last of our outside dogs). Since then we got another FB as a puppy and she was fine. Her best friend. We then wanted another BT so bred our first. Now the second BT has reached a year, both have turned against the FB. She now has joined the others in a seperate part of our house. I want them to all get on. I am the daughter of a boxer breeder who has had dogs all her life, also I am an experienced vet nurse and I have never had a problem before. The BT´s do not respond to normal training. They shiver and almost cry and hide or cower as if beaten only if chastated. When the weather is cooler I intend walking them two by two with my husband as a pack. This will hopefully allow her to accept our others but any other advise please as I want them as a happy family living together. can I get this to work for grooming? some dogs don’t even want to come in the shop! I tell people to run the blow dryer at home, make them used to it… maybe while they’re eating or something else good is going on… but alot of dogs end up having a worse & worse reaction to being blow dryed every time until they’re shaking for the whole groom! Most of them spaz out when their owners leave, and put on a big production. How can I desensitize a dog to blow drying & get them groomed in 2 hours before the next one comes in? You can try having the owner do some things at home with a blow dryer. The other hard thing is that they are separated from their owners and in a kennel. So the owners should also kennel train them to make that part of it easier on them. Next with some of the dogs we worked in grooming we would sometimes have the owner stay for a while to calm the dog down. Or we would have the dog come in a few times with no grooming so the stress level was less. What a great page! I am very much into dog training and usually I am disappointed by the “advice” I find on the internet. 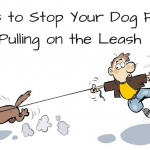 It can be harsh (dominance training) or just downright stupid, and in some cases can even make the dog MORE afraid. This page is a pleasant surprise. Its everything I would have said. I like your post and I am glad to have read it. We recently adopted a Boxer Mix from our local humane society. They had no solid information on her background except that she was left in a crate in the back yard by her owners just before Hurricane Sandy this October. We already owned a two year old male boxer mix, who we adopted from the same organization a year before. Their names are Lennon and Lucy. We did basic manners training with Lennon, our first dog. He was active and playful but never showed any signs of aggression or fear towards anything really. So when we added Lucy to the mix and realized that she is quite reactive to almost every new thing we are searching for ways to desensitize her to strangers-the stimulus that causes her aggression reaction the most. I know that she can sense/see a person on the street at least a block and a half away and that sighting starts her reaction. We live in fairly busy neighborhood so walks without encountering other people are nearly impossible. I realize our typical treats may not be enough to help her associate good things with new people as last night she wouldn’t even take the treats when I tried feeding her. So, I have two questions. Should every walk be a training session in this regard to establish consistency that when she sees a stranger she gets a nice treat? Sometimes its difficult when the person you are encountering is not part of your training lesson to get them to not look at, talk to, or approach the dog-in this case I guess I should just turn around and go another direction, correct? Yes, her experience with people should be good and controlled by you to the best of your ability. If you have to, drive somewhere to exercise her where less people are. If you get an obnoxious person who approaches her before she is ready it can ruin your behavior modification and get someone bit. So if you can’t do that, use a muzzle or a gentle leader so you can control her face. And, yes, when you see people coming go the other way. Work on getting her attention and doing other coping mechanisms like sitting or laying down or shaking hands… whatever it is that can keep her from caring about what is going on around her, while you control the environment to the best of your ability. Thank you for all if the helpful articles and advice! I adopted an abused/neglected German Shepard x husky mix at 4 months of age (now 1 year). At first he was very people aggressive, toy aggressive and food aggressive. We have been able To work through most of that. He no longer shows any sign of food or toy aggression and happily accepts attention from adults. The problem is that he still exhibits aggressive signs around children. He tolerates children’s attention if he is under my control (on leash and in a sit) and will happily take treats from their hand. At times he can be off leash and comfortable, playing nicely with a child, but will suddenly react. For example, we were at a friends house and a child was playing with my dog. They were getting along well and Cody was playing gently. The child stopped playing and was sitting down. When the child got up and walked past, my dog lunged and nipped this boys fingers. The child had all ready walked past my dog and so was facing away from him (no apparent threat). This type of behavior has happened on a few occassions. What confuses me is when my dog acts aggressivly when there is no apparent threat. Usually the children are facing away from him or ignoring him. It is definitely an aggressive reaction and not out of playfulness. Can you give any insight into this? Any suggestions on how I can modify this behavior? I have used positive behavior modification techniques in the past, including clicker training. You need to stop allowing this dog access off leash to unsuspecting children! If you were the children’s mother I would suspect you would be very angry knowing the dog has a history of biting children. Even though we want to “fix” all behavior problems, some of them can’t simply be fixed and it is not safe to try. If I told you after 30 bites to a child your dog might be reformed would it be worth the risk? NO! Biting anyone, much less children who can be so easily scarred for life is unacceptable. Instead he needs to be kept on a leash and under your control. I would not even have kids hand him a treat… toss maybe but not hand. The focus and good things need to come from you for ignoring children and acting nonaggressive. Some dogs don’t need to be pushed into socializing, they would rather not be petted or played with and instead stay with you and ignore people and distractions. The reason he is good with you now is because he lives and respects you now and you have taught him to not be as aggressive and possessive. However, this does not mean that the behavior is just “GONE” it means you have learned to control it and don’t see it as often. Truth is that the behavior and his personality still exist and he is not wanting to share with others especially kids. Kids look like puppies to other dogs. They don’t act and react the same as we adult humans do. A dog doesn’t have to be a “threat” to be attacked by another dog, he just has to be rude, and not understand doggy behaviors and social skills and lets face it; kids are rude to dogs when it comes to how their social skills differ from ours. It could be that the dog invited him to play and was ignored or that the child looked him in the eyes at the wrong moment. From an adult human this might be forgiven, but from what your dog probably considers another dog this is rude. He needs to not be allowed to inflict bites and pain on kids or anyone else, because each time he is successful the chance of the bite being significantly worse the next time, rises. I have 1 year shih tzu who gets very aggressive at the groomers. He with even try to bite me. I stay with him the entire time he is there. He is not put into a crate. I have even tried grooming him at home still the same aggression. i have had him since he was 7 weeks old and he was never injured by his groomer. She is very patient and understanding with him. any suggestions would be helpful. We adopted a 4-5 year old Irish Setter a few months ago. We know nothing about her background as she was a stray. We suspect she was either crated or penned for a very long period and may have hurt her mouth trying to escape (4 teeth on one side were loose and needed to be pulled after rescue). She wants to chase cars while on walks or in the front yard. She also gets very agitated and overly excited in the car when another car goes by. I think both are related. I’ve been trying to desensitize her for the last few weeks with no noticeable improvement. She loves the car but just has an issue when it starts to move. She will lunge on the leash when walking if she sees a car. Unfortunately, she isn’t very treat oriented. We love her and don’t want to give up on her but this is very hard. Any suggestions would be appreciated! Sounds like she has some basics. I am going to be teaching another course on some of the more advanced things like getting eye contact and focus on command so instead of wanting to chase things she can focus on you instead. Either way its going to be a lot of work but I think the eye contact and focus and other obedience skills will really help you. I will find a link to more information for you. Hi, I have a 12 week old puppy. I bought her from a breeder so no history of trauma etc. 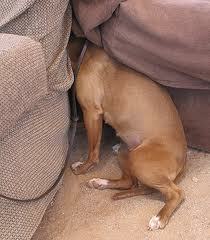 She is very fearful and tries to find a place to hide. She only will walk indoors when looking for a place to hide or when she has to use the bathroom. Otherwise she pretty much likes to stay put in a bed or something else contained. She doesn’t play with other puppies or toys (unless from a sitting position). She is aggressive towards my family and I every once in a while (I’d say 2-3x a day). But I can’t exactly tell what is causing it? I have socialized her with people and other dogs from the day I got her at 8 weeks. I really would appreciate any suggestions! I don’t know how to help her and I want to help these behaviors ASAP! Thanks! 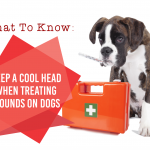 You need professional help by a veterinary behaviorist with biting and that much fearful behavior in a dog that young otherwise this puppy is likely to get much, much worse! We have a 4 month old Border Collie who is fear aggressive. He came to us this way at 9 weeks. He is people and dog reactive although very loving and attached to everyone in our family. I do a lot of training with him as he loves to do obedience training. When people come over, we tell him to go to his place and this helps keep him under control in the house. Outside, he will often growl at people (and would try to bite if a stranger tried to pet him on the head – so we can’t let people pet him until he learns to trust them and that usually takes a long time). He is especially reactive to children. Although does fine with my kids. My current plan has been to sit on the porch and have him see all the kids get off the bus (bus stop is at my house) and I click and treat when he looks at me and remains calm. This has been working well and he seems to be more relaxed with seeing all the people in our yard. What should be our next step? When we go on walks, he will still react 50% of the time when we see someone on the walk. He walks well on leash (no pulling). Thanks. The next step is to get help from a behaviorist, since I can’t see him and he is displaying aggression I can’t give you advice. I can tell you this isn’t normal and I am worried. And, he may never like people well enough to be petted. Get a referral from your vet for a veterinary behaviorist who can come over and see the behavior and give you more specific advice. I have 2 american pit bull terriers. 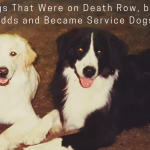 Both gotten at 8 wks old and raised with numerous children and other dogs. I endured some medical issues and for a 3 year period of time, my k-9 kids had to stay with my father. I visited almost daily as well as friends and our children. Now that the pups are home, there has been no aggression towards humans at all, however they seem to be totally sensitive and aggressive to other dogs. What would be my best course of action to attempt desensitizing them again if possible? 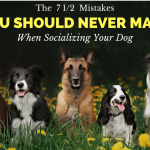 I would consider getting them into an obedience class, even if they are obedient (and I suggest that they are) and listen this is a great way to socialize them. 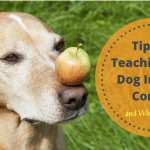 Call and speak to the teacher at first so you get into a good class with well behaved and non reactive dogs. Hi I have written before but need more info. I rescued a 4 year old mini dachshund. Don’t really know much about her past other than she was with a hoarder. She is fearful of people in general but has come a long way in the 31/2 months I have had her. But she will not come to my husband. She gets excited when he comes home from work (he feeds her dinner) and she will sit next to him on the couch as long as he has food. She follows him around but will not come to him to put on her leash to go for a walk or even to go outside. She runs when he tries to pet her. It is hard for my husband to be patient and so he gives up. He wants to play but it scares her. I get home first so I let her out of her kennel, I take her for walks because my husband cannot take long walks due to a health problem. If I am not home she either goes downstairs alone or won’t come when he tries to get her to go outside. So therefore has accidents once in a while. However in the car she will sit on his lap and look out the window. Any suggestions on how to help them become friends would be well appreciated. I know time is an important thing but I would have thought in 3 1/2 months of living with him she would have accepted him. Thanks and I really like your program and the blogs. Have helped me a lot with her. HI! We purchased our 3rd Border Collie from a Breeder almost from the Canadian Border. I found that they are hard to find in the New England Area. Our last B.C. was a Male amd we had him for 17 years. He was awesome. We also have had 2 Golden Retrievers and A Full Collie. For a period of about 7 years we had 3 dogs until the B.C. died. It was our first time in our marriage that we did not have a dog and I was the one that usually trained them, took them for walks, brought them to my store and we have an R.V. that we take them to in Newport. Now we have our little girl B.C. that I thought would be great to breed her. Well, My health has started to act up and I was talked out of it and we just had her spayed. We found out she is a Hermaphadite. Not a big deal to me or the Vet. That is not my problem. My problem is She HATES the Vacuum cleaner, becomes vicious, tries to eat it, barks excessively, throws her toys in the air lunges at me. It is awful. I have been vacuuming in front of her since we got her when she was 6 weeks old. This obsession along with me sweeping floors, my husband using his electric razor, and washing his car. She is fine with the lawn mower as long as she can see him. I do not know what has overcome her! I have had to hire a cleaning lady and I keep her with me in my office and then bring her into the bathroom while I shower and they clean my office. We have a big old farm house/47 windows and Buffallo and cows and horses for neighbors. We live on a hill that gets a lot of windy dirt. I also have 2 long haired cats all hardwood floors, with area Oriental’s and braided rugs. I use to vacuum kitchen’s and stairs every day just to keep down the hair and dirt balls. We have antiques that require certain cleaning care. In other words this house needs constant cleaning and upkeep. She needs to let me vacuum. I have finally taught her to calm down while I blow dry my hair. That took 2 months! I leave 2 vacuums out just so she gets use to them. I put treats on them. She will eat them, however as soon as I touch the vacuum she starts her fits! Forget putting her in her crate, she jumps around in it so much she moves it across the room. I’ve tried keeping her outside she hears it and still goes nuts. She really does not like being outside without me or my husband either, she throws fits. More so when my husband is home. I have taken her to two training sessions and she was wonderful! She minds me very well, at home and outside and in public. My husband also participated, however, I did the final showings for the Judge. She barks when we try to have a conversation, However, not in the car. She won’t leave him alone for a minute until she is finally exhausted and goes to sleep. She is with me all day and does none of this behavior. My husband will not listen to whem I say we have to be consistent with her behavior training. He thinks that because he has been away all day she does not need for him to “boss” her around! When He walks her he will not practice “heel”, sit stay, he feels she should be able to sniff all the different things on their walks. I am exasperated! Sick and very tired. Can I have him be sent to behavior training?? We have never had any problems with any of our other dogs EVER! Having a dog trainer or behaviorist out to the house could possibly help your husband so someone can explain it to him in person. As far as the vacuum goes you are likely looking at a long road just like you were with the hair dryer! It may take months. I would practice teaching to her to go her dog bed or somewhere in the house and teach her a good down stay. I would also make sure she is super tired (like after a long walk) so she is more conducive to training. Then you will slowly have to turn on the vacuum and move it. It may take many months but that is sometimes the way with desensitization. We Have taken 2 6 week training classes. She exceeds all the other dogs and puppies. This vacuum thing just started happening in the middle of her life. Or I should say when she was about 7 months old. She is now 1.1 years old,and this has been going on for at least 5-6 months! I agree that maybe a personal trainor or behaviorist on a one on one basis with her, me, and my husband here at home would be super beneficial. Last night I just wanted to vacuum out a draw that a sachet broke loose in the nylon drawer. She was sound asleep, it was after 10 pm she was exhausted and so was I! She was in the Bedroom with AC going and TV. She went Balistic! Keep me informed, or if anyone out there has any information I am willing to try anything! I have a 1 1/2 year old mutt that we rescued from a shelter. 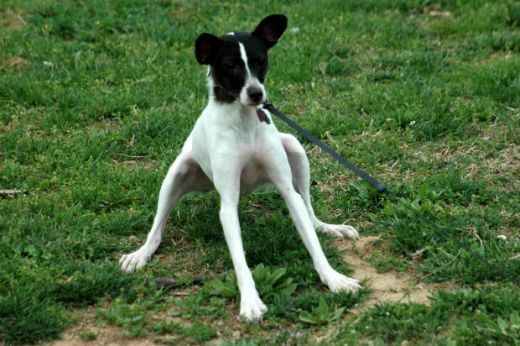 Her story was that she had been found at a playground in WV with a severely fractured leg. She was treated and put up for adoption. We’ve had her about a year now. The major problems are fear aggression and biting for attention. she frightened our neighbor by barking aggressively, but never came close enough to touch. So my neighbor is terrified of her even though she is relatively small (about 35 pounds). In the house, she bites at me and my husband when she really wants attention, or if we get too close to one another. Obviously these are separate problems, but I think they relate to her anxiety since she also hates to be left alone. I am the one she protects from my husband, but she will nip at me when she wants something as well. I’m not the best dog trainer either. I’m too lenient. She did go to training class for puppy basics, and passed with flying colors. I just recently (1 week ago) adopted a 2 year old bichon poodle mix. He is a wonderful gentleman. However, he is suffering from mild/severe separation anxiety. Whenever we leave he begins howling and barking. We have tried leaving him in the bathroom with his crate door open but he jumps and scratches at the door, howling, barking, and pacing the entire time. Just recently we noticed he enjoyed going in his crate to sleep while we were home so we have left him in his crate for two 30-45 minute periods covered in a light sheet. He howled the entire time. We are trying to desensitize/counter condition him to us being gone by creating boundaries in the house so he can’t follow us everywhere and have also been making coming and going very unproductive or exciting. Since last weekend we have been stepping outside for a moment then coming back in–also standing up and going to a different room only for a moment to try to get him to be more independent. I understand a large part of desensitizing and counter conditioning is not allowing the dog to reach full anxiety–this is not an option for us right now as we both work and our new pup has been recovering from kennel cough so we can’t take him to a doggie daycare. We need help. I am frustrated, sad, and feel like everything we do is wrong…or immediately undone when I have to go to work and leave him for more than a few minutes. I have 2 half breed male Akita’s, a 2-3 year old and a 1-2 year old and they are afraid of everything and everyone. They are just like their mother. They will bark at you from the time they smell you coming but run if you approach them, both of them. They are kept tied outside and the one to the front of my house allows the postman to come right up to my front door (when I am not at home)and the one at the back would just watch animals, big or small that get into my yard go along without a sound. Some people stay at the gate when they start barking as they do look vicious but as soon as you start to approach them they run. If they were not tied it would be shamefull. I do not know what to do and I love my dogs but when I see strangers are allowed to come into my yard because the dogs are actually afraid of them and they need not be afraid of the dogs I am worried. You can’t change your dog’s personality or make them tough. A dog is what a dog is tempermentally. First i have to say thanks for sharing your knowledge with us! My dog is called Roma, she is an American Pitbull Terrier and she is almost 2 years old. She is afraid of people, but not always, let me eplain. we can walk in a really crawded square or place and people can walk really close to her and nothing will happen; if we go for long walks in the country side and she meet someone she doesnt really care, but if she is on the leash and someone that she doesnt know get to close or try to pet her she start to grawling and then she snap the air but as soon as i say STOP she just lay on the ground and stop. I try to prevent reading her signals and moving away befor eit starts and telling people that she doesnt like to be pet, i’m also working with food treats taking some around with me and giving them to people to give to her, but is not really working out. thanks and sorry for my english, I’m writing from Italy. Thanks for all the great information! I haven’t read all the blogs there are so many. My two and a half year old rescue, Bart, a collie mix, is a sweet but kind of timid boy. He is getting more confident with daily excursions with dog friends and dog parks. The only thing he is really fearful of is the veterinarian. He goes into a panic at the door of the vet’s office and tries to run away. The first time we went to a vet, he slipped out of his collar and ran down the street to our car! Now I use a harness on him. We tried another vet office and I took him with me when I had to take the cat in. He went right in, but after a few visits there he is back to being scared out of his mind. Everyone treated him well and he got treats. vets are scary carry your own treats and work on obedience which can comfort dogs. I do not live close, sorry. I would call your vet and ask or find a veterinary hospital that is close. I know Sue Sternberg is up in the Catskill mountains and she is very good. It is hard to go from an older dog to a puppy. We get used to laid back older mellow dogs and forget what puppies are like. And, puppies need exercise and lots of it. I also suggest you search our free articles. Just go to the article and on the right hand side of the page about a 1/4 of the way down is a search button. You can search for exercise ideas and potty training advice. I also would recommend a good doggy day care. Dropping him off for several hours to play with other puppies might give you a rest and it will show you how nice it is to have a tired puppy! I have a 10 month old male red heeler. I got him after he was old enough to leave his mom from my friend. He bites a lot and he also gets really nervous around new people. Or if a bunch of people surround him he will freak out. I took him to the park and a bunch of kids wanted to pet him and he got really nervous and nipped at them. We tried different ways of introducing him to people and he’s okay with them as long as he goes up to them but if they move he freaks out and starts barking. Also he follows me around all the time he is right next to me almost all time. If I leave the room he follows me. What should I do.?? Stop allowing people to pet him, you are setting both of yourselves up for a bite. Two weeks ago we brought home a rescue 2 yr old French Bulldog. He has had some issues, which we are making strides in dealing with-my two 5 yr old Bostons are helping! One huge area that needs to stop for his own safety is absolute extreme aggression toward the lawnmower, leaf blower-stuff like that. I agree with no shocking with a collar because pain now becomes associated. But he is going to hurt himself if he races over and sticks his head to bite at the blade side of the mower. For such a sweet dog, he is vicious with every hair on end, every muscle defined and no response to the shock collar that we did we did try on him in desparation–until I read your article about the pain response which makes total sense. I did sit with him in the house and pet him and soothe him as he wimpered when the mower was far off in the field, but as my husband came closer Buddy was uncontrollable. What should I do? Even my Bostons came over to nuzzle him during a quieter whining time. I would go see a veterinary behaviorist to help you with training. I definitely wouldn’t have him outside during mowing; I would keep him inside, in a crate with loud music blaring while you work through some behavior modification. I work from home and have 2 Labs. I walk them 5-6x per day. I also have them outside on zip line when I work in my garden next to zip lines. The problem is neighbor 2 doors down allows her 2 dogs (one small yappy poodle mix and a Border Collie) to run all along fence line, barking at me and my dogs. Her dogs always start this. Then my dogs respond. So then bring my dogs inside. Her dogs still barking! Not good that my dogs cannot enjoy being outside. This.lady also walks her dogs and when my dogs see her, they are on edge. 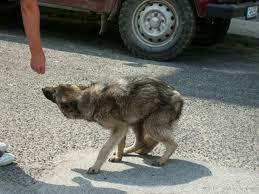 One of mine sometimes backs out of his collar and runs home, he does not attack these other dogs, just runs home. My dogs are not on edge for any other dogs–Just these 2 who have barked at them so much. I try to go the other way, or offer treats to my dogs to keep them from reacting to the neighbors dogs. Other neighbors have complained about the backyard barking, and the police have visited her, to explain she cannot let barking dogs continue over 5 mins of intermittent barks. Despite this, barking continues, maybe a little less, or shorter, but there isn’t any way to get this lady to eliminate her dog’s barking. How do you desensitize against noises? My dog hates leaf blowers, and I hate listening to him bark like he’s trying to kill something for 20 or 30 minutes while one is running! I have a shopvac, which is a similar sound that he also hates. Do I turn it on for a second and off again; and how would I proceed? He’ll lose his mind immediately at the sound, so it isn’t like a person or another dog where you can use distance to sort of ease them in. Thunder and fireworks (gawd how I hate the 4th of July week in my neighborhood!) are nightmares as well, but at least not as frequent as leaf blowers in my neighborhood, which is almost daily. I have a yellow lab who is 6 years old. When she was 1 year old she was attacked – unprovoked – while on a leash on a walk she was attacked from behind by an aggressive pit bull that left her bleeding and the people around screaming. It really scared her. Over the years she settled down but was always a little nervous when approached directly by other dogs. Last summer a new family moved in 3 houses down with 2 big dogs. They have charged out of their yard off leash and run up to my dog (walking on leash) 3-5 times. I think they are just checking her out, but she seems to perceive their approach as a threat. She has suddenly gotten more and more agitated and even aggressive in her response when she sees them, and now almost any other dog we meet on a walk. What can I do to dial her back down and help her to re-learn that not all dogs want to hurt her? If I find a calm older dog to spend time with her (advice to an earlier post) and she builds trust, will she transfer that trust to her experience of the other dogs we meet in the neighborhood? Or should I simply keep her away from other dogs for the rest of her life? This is really tough! Help? We adopted an Australian shepherd mix. He is almost 3 years old. At first he was fine but a little timid around louder noises. He is now resorting to aggressive behavior when scared. He is such a sweet , lovable dog on any given day until a loud noise. He will attack our other dog when the anxiety becomes to much. He has punctured the skin a couple of times. Not bad but enough to cause vet visits but enough to scare all of us. He is now separated when we know a storm is coming or when fireworks begin. But after an attack, you can tell that he feels horrible about his behavior. He will go up the other dog and lick him and sniff him to make sure he is okay. Any suggestions on the best way to desensitize him from louder noises? I have a 3 yr old grea Dane who is protective of me around my husband. Husband ha yelled at me and on 1 occasion thrown something at me in anger. Moose has trust issues with him near me he will growl at him has barked at him and twice now lunged at him but I have grabbed him or he stopped in front of me. Other times he’s as friendly with him as any of our other dogs are ( also Danes) I understand his reasons but I need to work with him to resolve this if possible. Any hints? I’m considering putting him on medication as well. When doing the training slowly, how long would you recommend the training that day? An hour, 30 mins, 15mins? How does one know when to end training for that particular day? If the dog is enjoying it you can continue longer. It depends on the dog, and the day! I have a dog…that as a puppy he loved the car and car rides…he went everywhere with me, but one day out of the blue he was scared to death of the car..shaking, trembling, he really wants to go in the car, but once we start he starts trembling, then the next time he knows what happens and won’t go with me. You can tell he wants to go but remembers how scary it is for him and he tucks his tail and Just sits down…letting me know he’s too scared to go for a ride. Not sure how to help him enjoy the car again…please help! !